Chef you are self-taught but you must have learnt a lot of skills through the family business – is that where it began for you? No. When my parents were managing the bakery, I was very young. The bakery was in Rivisondoli Abruzzo and I was living in Rome at the time. I didn’t go to any cooking school as I was studying business and economics. My father passed away shortly after the bakery was converted into a restaurant. My sister and I inherited the restaurant in 2000 and so I moved back from Rome to Rivisondoli. It was supposed to be for two or three months maximum as I wanted to go and finish my studies – but I never left. I was 25 years old and starting from scratch. Was there any expectation you would eventually earn three Michelin stars? I didn’t even know what a Michelin star was when I started. I was there just to manage the restaurant and would never imagine that in 18 years I would have done all of this. You have to remember that 18 years ago it wasn’t like today – there was no internet. Eighteen years ago the role of the chef certainly didn’t have the allure that it has today. So I began without knowing where I was going and I liked it, but I’d never cooked. Now I can say that having started with no preconceptions enabled me to develop a very personal cooking style and philosophy. I studied a lot though in the following years and my concept of cuisine has adjusted and evolved. Italian food is often focused on tradition rather than innovation; do you adapt your menus or your Dubai clientele? Unfortunately there is still this perception worldwide that Italian cuisine is still the same as in the ‘80s. The Italian cuisine abroad is tied to models that don’t exist in Italy anymore. For sure, you can sit at a restaurant in the USA and you will not find a modern Italian cuisine that belongs to those old models. 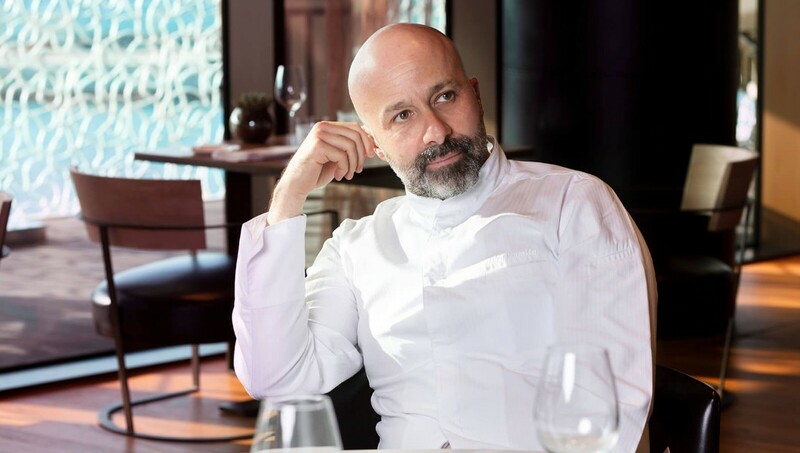 Diners in Dubai will not find a standardised concept of what fine dining is today but they will find the cuisine that was born and conceived for my Bulgari project. It’s a cuisine where the true protagonist is the raw material, where there is a lot of technique and a massive amount of research. But my food doesn’t show off on the plate. It’s a cuisine that does not necessarily want to surprise you at any cost, but it’s a cuisine that has a high respect for the diner. It’s something that you can eat every day and this is by far one of the most important concepts that we need to make over. 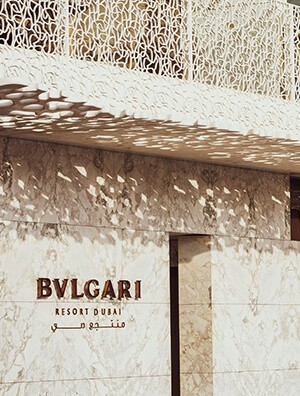 The [Bulgari collaboration] doesn’t just exist in Dubai. We’re already in Beijing, Shanghai and Milan where you can find some of the great classics of the Italian tradition without any loss of flavour. What we do is, we apply all the new cooking techniques to improve the preparation, keeping the taste enhanced but with new processes that comes from years of research. You’ve mentioned that the research for your menus can take up to two years. Can you talk about that process? The first thing we did was take many significant recipes of the Italian tradition and started to reproduce them, and brainstorm modern interpretations of those dishes. We ended up with more than 100 recipes. This has been unique work because it’s never been done in hotels. There are a lot of restaurants in hotels worldwide where you can eat very well but there is no hotel chain that has ever developed a project such as this. We had some difficulties for sure but the potential and the results that we’re witnessing one year down the line from opening are incredible. 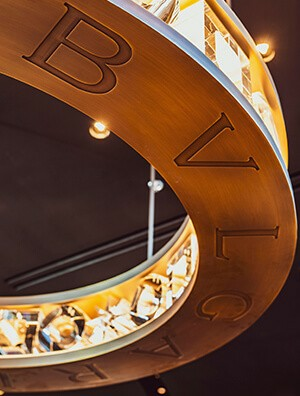 Perhaps our diners here travel around several Bulgari hotels but they will find the same consistency – the same dish, the same ceramic, the same design and architecture. And that’s very important. Does this philosophy also extend to your culinary school? It’s the only approach, yes. The only approach I know. The cook has to be a person that improves the food and doesn’t improve his own ego. The most important approach is to understand where you are, because if I’m working in a place that sells street food, I must be proud of working in such a place and deliver the best street food I’m able to produce. We are doing a very important project right now in Italy with the nutritional department of the University of La Sapienza, Rome. For the past year we’ve completely renovated and rewritten the menu of a hospital. The approach has been the same for Reale, changing the positioning and the related gastronomical art form. Do you think Dubai is ready to be visited by the Michelin guide? I don’t know Dubai so well but I do ask myself why Michelin is not here yet. Having the Michelin guide here would mean everything is rebalanced, with a focus and strict parameters. If you have an authoritative critic, it will for sure improve the content. Many times a client, if he doesn’t understand gastronomy, will criticise because he doesn’t know understand. But an authoritative critic such as the Michelin team, can improve and reposition restaurants that are not popular with the public just because they are not understood. Sometimes a client, when they know that the restaurant has a good rating by Michelin, will approach the restaurant in a different way. This is what a critic is born for. 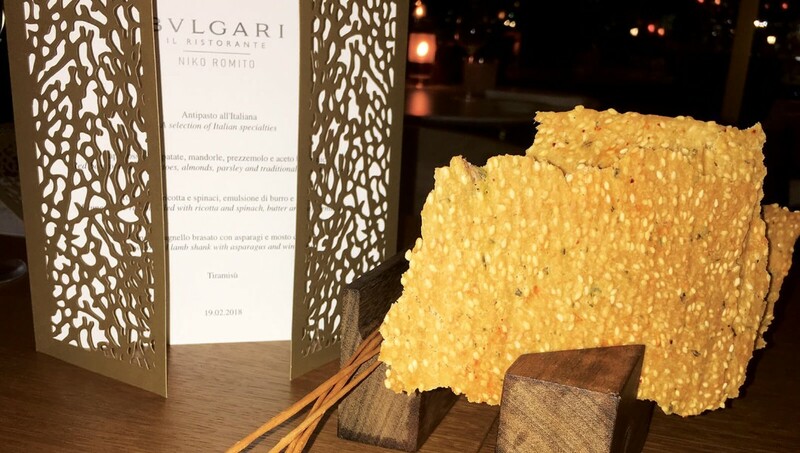 Finally, can you recommend your favourite dish at Il Ristorante – Niko Romito? The tomato spaghetti or the spaghetti with the cuttlefish because of the cooking of the pasta and of the sauce and the clean cut of the taste. Chef Romito’s signature Friday brunch is available Bulgari Resort Dubai. Simply visit the website for more information. This interview was conducted through a translator.